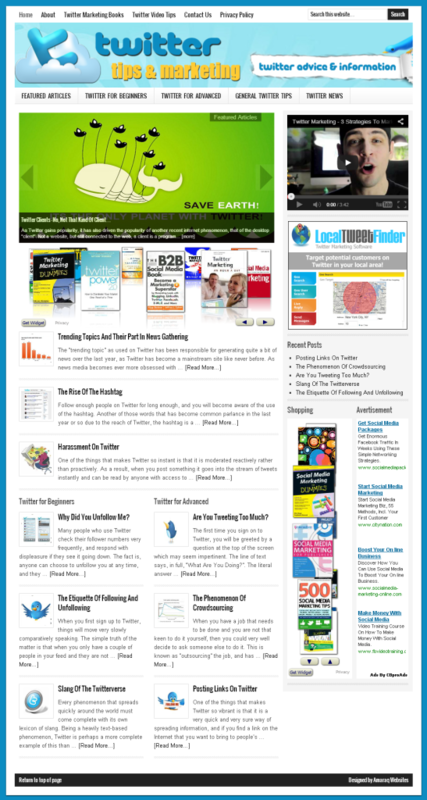 Twitter information website that acts as a helpful guide for using Twitter and also contains Twitter marketing tips and advice. Fresh Twitter related news posted daily, along with a page of automatically updating Twitter marketing videos. Built on the Genesis framework and powered by WordPress.